The Michigan medical malpractice lawyers at our firm represent children in cases involving the failure to timely diagnose and treat hip dysplasia. These cases are typically filed against pediatricians who fail to detect the condition at an early stage so that appropriate treatment can be commenced. A delay in the diagnosis of hip displaysia may result in unnecessary surgeris and diability over the lifetime of the child. Hip dysplasia is the medical name used to describe a problem with formation of the hip joint in children. The location of the problem can be either the ball of the hip joint (femoral head), the socket of the hip joint (the acetabulum), or both. The condition is typically referred to as developmental dysplasia of the hip, or DDH. Babies born with other "packaging problems"
Diagnosis of hip dysplasia in the infant is based on the physical examination findings. With a proper physical exam, your pediatrician will feel for a "hip click" when performing special maneuvers of the hip joint. These maneuvers, called the Barlow and Ortolani tests, will cause a hip that is out of position to "click" as it moves in and out of the proper position. If a hip click is felt, the pediatrician usually will obtain a hip ultrasound to assess the hip joint. This is necessary because an x-ray does not show the bones in a young baby until at least 6 months of age, and therefore a hip ultrasound is preferred. The hip ultrasound will show the doctor the position and shape of the hip joint. Instead of the normal ball-in-socket joint, the ultrasound may show the ball outside of the socket, and a poorly formed (shallow) socket. The hip ultrasound can also be used to determine how well the treatment is working. Generally in newborns, a hip dysplasia will reduce with the use of a special brace called a Pavlik harness. This brace holds the baby's hips in a position that keeps the joint reduced. Over time, the body adapts to the correct position, and the hip joint begins normal formation. About 90% of newborns with hip dysplasia treated in a Pavlik harness will recover fully. Many doctors will not initiate Pavlik harness treatment for several weeks after birth. In older babies, Pavlik harness treatment may not be successful. In this case, your orthopedic surgeon will place the child under general anesthesia. This usually allows the hip to assume the proper position. Once in this position, the child will be placed in a spica cast. The cast is similar to the Pavlik harness, but allows less movement. This is needed in older children to better maintain position of the hip joint. Children older than one year old often need surgery to reduce the hip joint into proper position. The body can form scar tissue that prevents the hip from assuming its proper position, and surgery is needed to properly position the hip joint. Once this is done, the child will have a spica cast to hold the hip in the proper position. The success of treatment depends on the age of the child, and the adequacy of the reduction. In a newborn infant with a good reduction, there is a very good chance of full recovery. When treatment begins at older ages, the chance of full recovery decreases. Children who have persistent hip dysplasia have a chance of developing pain and early hip arthritis later in life. Surgery to cut and realign the bones (hip osteotomy), or a hip replacement, may be needed later in life. For a hip dysplasia malpractice case, it must be established that the pediatrician should have detected the condition early on and that if diagnosed, the use of the Pavlik harness would have been effective and the child would not have required surgery. Most often, a pediatric orthopedic surgeon would review the surgical records and radiology films and attempt to make this determination. If the child would have had a more favorable outcome had a timely diagnosis been made, the child would have a malpractice case against the pediatrician that missed the diagnosis. 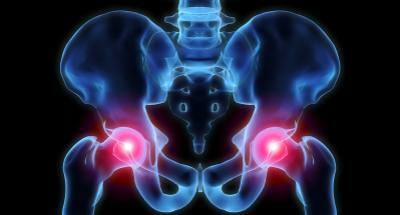 If your child has been a victim of misdiagnosed hip displasia, you may be eligible to file a lawsuit. Call out award winning attorneys today at (800) 606-1717. We will listen to your story and determine if you have a case. We represent all clients under our No Fee Promise, which means you will not pay anything unless we are able to reach a settlement for your case. There is absolutely nothing to lose, so call today!